NEARLY NEW! 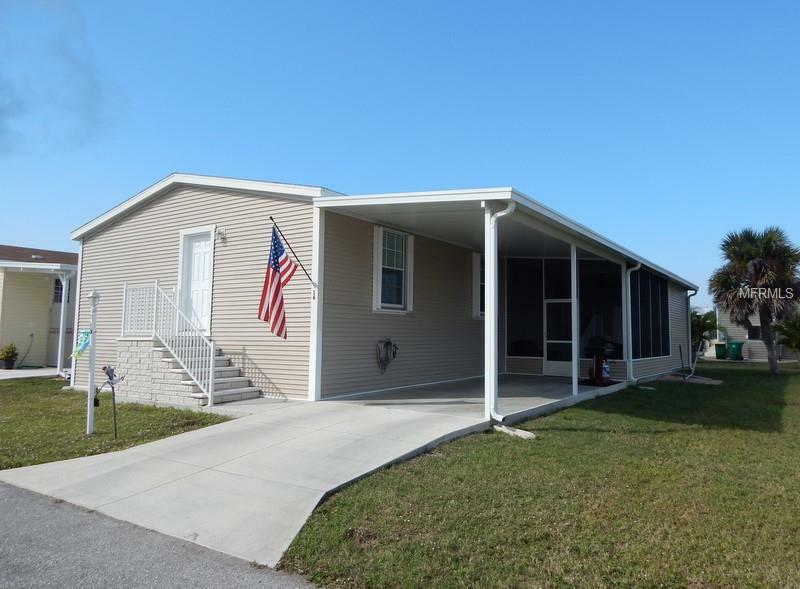 2015 Palm Harbor, 3 BR 2 Bath home with gorgeous hardwood flooring. Lightly lived-in, used seasonally. 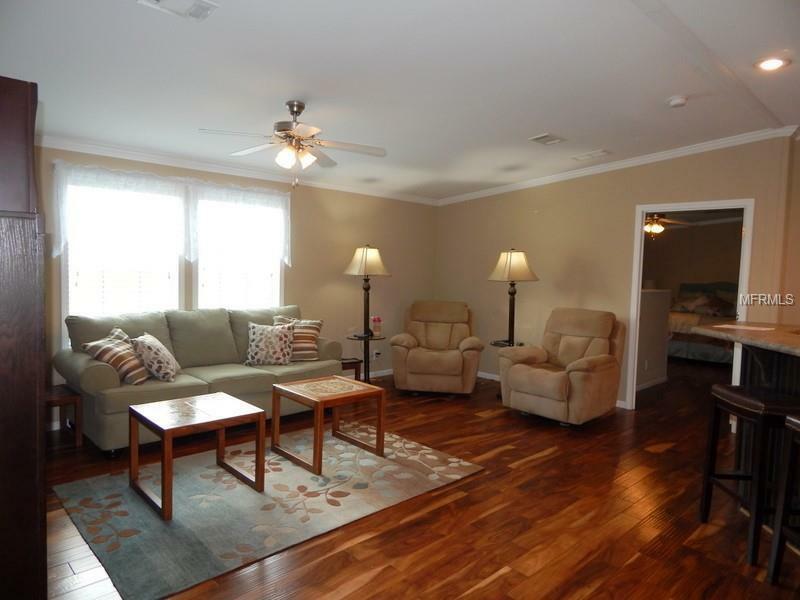 You'll love the open floor plan with upgraded kitchen opening to large living room. The kitchen has plenty of work and storage space, plus a large pantry. Wonderful colors and decor throughout! The spacious master suite includes office/sitting area, walk-in closet and beautiful bath with dual sink vanity, soaking tub and step-in shower. Desirable split floor plan provides two guest rooms and nicely appointed guest bath on the opposite end of the home. Good closet sizes in this home. 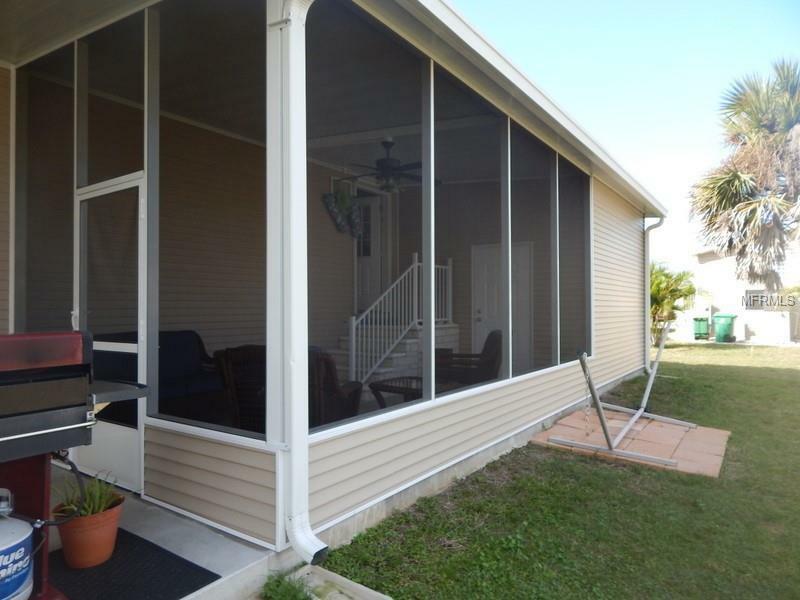 The screened lanai offers a relaxing spot to enjoy our great Florida weather. Concrete steps at front and side of home. Bring your landscaping ideas to make this home as pretty outside as it is inside. There is a shed to hold the tools and toys. EXTRAS - Accordion shutters, storm panel for side door, gutters and downspouts, treated for termites, crown molding, drywall throughout main living area. Windmill Village is a resident-owned waterfront park with saltwater marina offering Gulf access. Enjoy bocce ball, boating club, kayaking, horseshoes and much more. Meet friends at the Tiki hut for lunch and swim in the large heated pool. The upscale clubhouse has a library, billiards room and grand hall for dinners, dances and entertainment. The monthly fee of $195 covers lawn mowing, water & sewer and recreation facilities. Price does not include the park buy-in of $18,285 which is returned when you sell.